Founded in 2015, Smarter Outdoor Solutions is a family owned business that sells high quality portable buildings, play-sets, and luxury gazebos. The owners, Tony Walley, his wife Rachel, and business partner Eric Barnstein, are very involved in the Slidell community and proud members of the East St. Tammany Chamber of Commerce and other community groups. They have made a commitment to serve the residents of Slidell and surrounding communities with outstanding customer service for the foreseeable future. Our purpose is to improve property values in our area by providing the highest quality outdoor products coupled with unsurpassed customer service and the best warranties on the market. We are committed to ensuring that our core products: Portable Buildings, Playsets, and Gazebos are of the highest quality available. 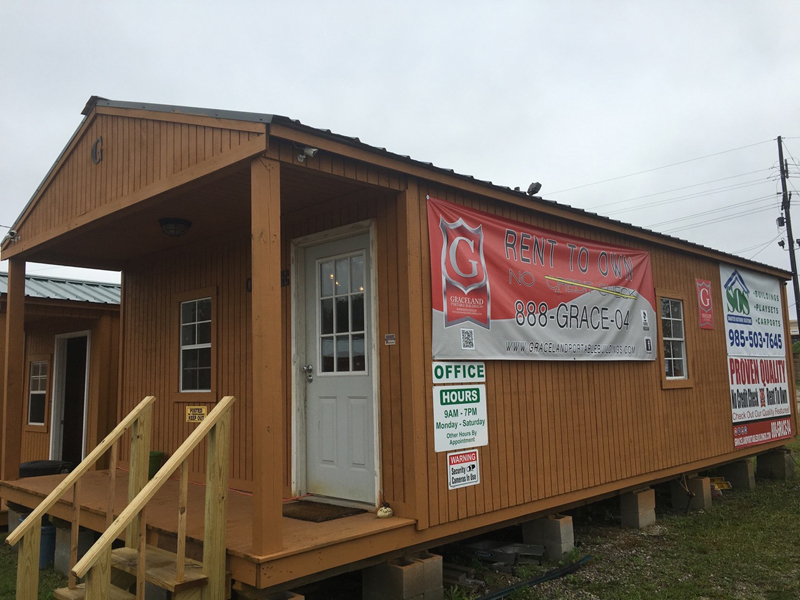 Our office on I-10 Service Road, next to Slidell's Home Depot.